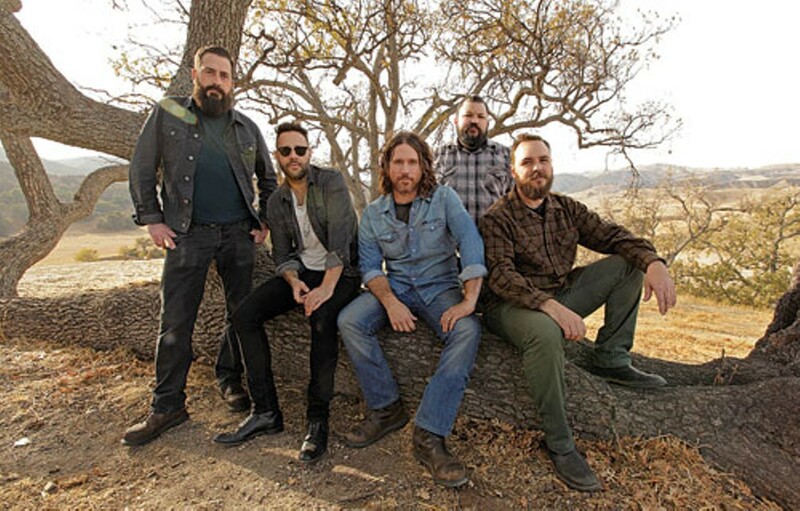 Chuck Ragan seeks to bring people together, no matter their musical tastes. Scrolling through his Instagram account, you will find that Chuck Ragan is a man's man: pictures of dogs, caught fish, roughed-up boots from years of trekking through Northern California's woods. Someone unfamiliar with Ragan probably wouldn't assume he's a punk-rock legend, a co-frontman of Hot Water Music. Aside from that, he's a gentleman, turning the tables on the interview by asking questions about how I'm doing and how Salt Lake City's weather is holding up (I'm only assuming so he can partake in outdoor activities while on tour) before I can even ask a question. "It's a way of treating people that I was taught at an early age by my folks," Ragan says. "My mother is an entertainer, and I remember touring with her when I was a kid and seeing how she connected with people. She was always a kind and giving woman even when she was sick as a dog. Even during the Hot Water Music days, we always wanted to include our friends and supporters that came along, to include them." After spending more than 20 years in the renowned punk band Hot Water Music—which went on hiatus in 2005 and got back together in 2007—Ragan has now turned his focus to his solo career, which has spawned the annual Revival Tour and four folk-punk albums, including his just-released, country-tinged Till Midnight. Probably confusing to punk-rock purists, as part of the promotion of Till Midnight, the video for the debut single "Something May Catch Fire" was featured on CMT's website. But Ragan is eager to share his music with a new audience and, even more so, introduce them to the punk-rock community. "For anybody new coming, I would want them to feel free to come on in and open up their ears and hearts and, not to mention, meet our fans and supporters," Ragan says. "The community of listeners we have are some of the most positive, progressive and healing group of folks I could ever ask for." On Till Midnight, Ragan's songwriting is fully realized. The album focuses mostly on love songs, a topic cultivated during a short hiatus from production and performing duties with The Revival Tour—an acoustic showcase of folk, indie and Americana artists—and touring with Hot Water Music. During the break, Ragan was able to refocus on his family and loved ones. "It's tough for anyone who goes on the road," Ragan says. "We're not just punching the clock. The tough part is finding that balance. Personal time for your agenda can virtually disappear. I hit a point in my life where it didn't make sense to make everybody happy and take on so much." Although Till Midnight may sound like Ragan has lost some of his edge from his earlier solo days, new songs like "Non Typical" and "Revved" are still peppered with Ragan's gruff and gravely yell, and the songs pulsate with new life from additional musicianship. On Till Midnight, Ragan collaborated with a full band, The Camaraderie, for the first time on a solo record. The lineup features members of Social Distortion and The Wallflowers in addition to his longtime fiddle player and bass player, John Gaunt and Joe Ginsberg, respectively. The intensity of Ragan's shows will no doubt stay intact while he promises more emotional "peaks and valleys," giving equal time to his high-energy punk/folk and his more recent mid-tempo alternative country. Nonetheless, Ragan and The Camaraderie promise a good time for their "community." New Jersey band remains "unapologetic about anything we do"